David Hardy is a multidisciplinary artist based in West Wales, creating artworks from the base of the Cambrian Mountains. He studied Fine Art at Winchester School of Art and after graduating moved to London where his work spanned graphic design, photography and painting. David has exhibited internationally. After working at Royal Society of Arts and London College of Fashion as resident graphic designer David moved to Hastings to focus on his photography and painting. Now working and living in Wales, David takes inspiration from his surrounding landscapes. 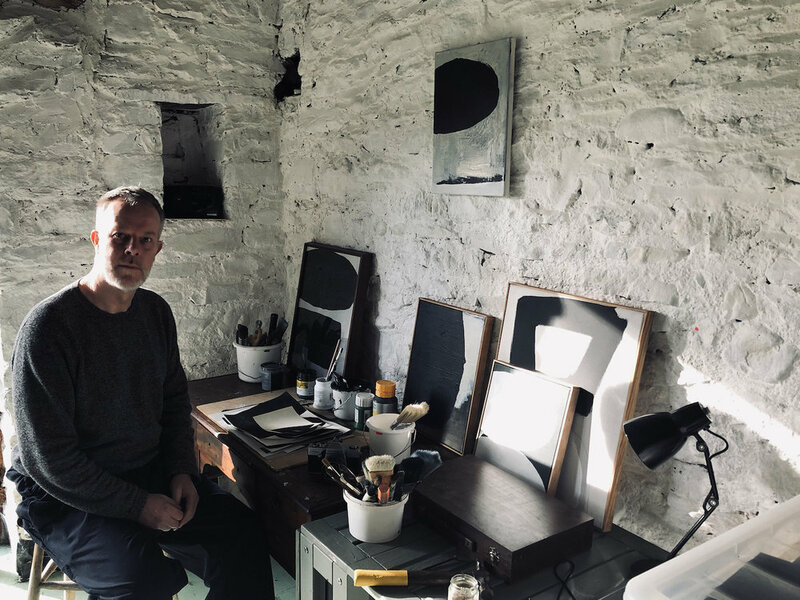 His work focuses on composition and arrangement of colour in a subtle, reductive and minimal way that draws inspiration from the natural landscape and organic forms.